The Kent-based rocket maker last week spent $14.1 million on 31 acres of agricultural land near its headquarters. Blue Origin is growing its footprint in Kent, spending $14 million to scoop up 31 acres of agricultural land. The Jeff Bezos-owned commercial space exploration company last week sealed the deal to buy four parcels a short drive from Blue Origin’s current headquarters on 76th Avenue South and Sout 212th Street, King County property records show. The land was previously owned by the Barnier family, a clan that’s been farming in the formerly agricultural region for generations. Blue Origin is currently testing its New Shepard rocket, and aims to conduct manned test flights next year. The company is also designing a much larger New Glenn rocket that it hopes to launch before the end of the decade. Bezos, the Amazon founder and chief executive, said last year that he sells about $1 billion of his stake in the online retailer annually to fund his space company. Kent Mayor Suzette Cooke said in a speech in April that Blue Origin was planning to expand on the site of the Barnier property. At the time, she said the company employed 750 people in the city, and planned to add hundreds more in the coming years. The company is expanding elsewhere, too. 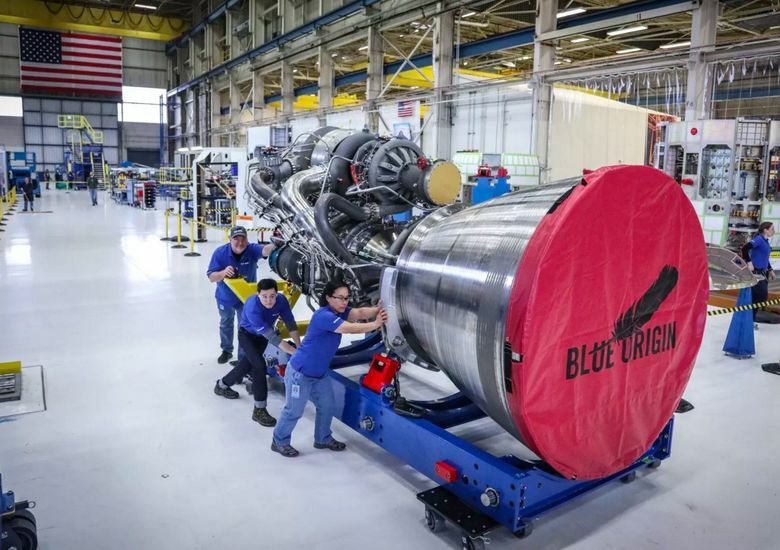 Blue Origin has a rocket assembly and launch facility in Florida, and is building a rocket engine plant in Huntsville, Alabama. A Blue Origin spokeswoman didn’t return a message seeking comment on its plans in Kent. The Daily Journal of Commerce reported Blue Origin’s purchase on Tuesday.